If you’re reading this, then you’re already aware that MTGPrice is the best price tracking site around. 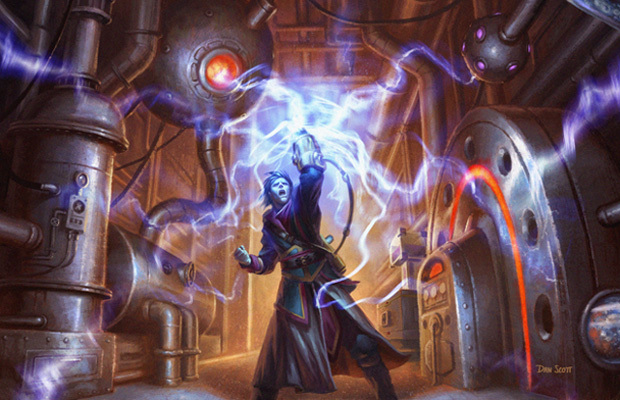 We are more than a set of numbers though, and today I’m going to walk you through a half-dozen tricks that will really enhance your experience with MTGPrice. If you use MTGPrice on a mobile device, usually while trading, you’ve probably had to look up several cards in a row. It can be quite annoying to have to look up prices a second time, as terms of a trade change. Here’s a tip for making that process faster and easier. Since we put the price into the title of the page, all you have to do is look at your recent history in your browser. I have an iPhone, so when you go to the Safari history you see the list of cards and their prices in chronological order that you looked them up. Until we have an official app, this is a really great tool when you’re working with a group of cards at once. For comparing historical trends, our slider is top-notch. We post our graphs in articles all the time, but seeing the drop from pre-order prices to bulk status reinforces how right you were to sell, sell, sell! Conversely, you can see long-term trends this way. I know that there are lots of cards that have spiked in the past year, but there’s others on a slow upward trend. The really valuable tool is comparing very similar cards, like the Zendikar fetchlands or the Scars fastlands. While the price of the blue fetches is sky-high, it’s only a matter of time until the other fetches catch up. If you look up one card, then you can click on the name of the set that the card is in. That gives you a list, sortable by name, price, and buylist price. This is incredibly valuable information, especially if you’re trying to trade for things that are going to sell easily for good money. We also get that list ready pretty quick when a new set comes out. I use it as a tool for the early weeks of a set when I want to draft for money or make trades for the future. When you enter the cards you own into your collection, there’s a tool for getting the instant cash value of your collection. I realize it hurts to see the retail value of your collection, and then see that you’d get 60% of that in cash, but that’s the nature of the market. Beyond that, when you’re looking at the price of an individual card, you click the ‘sell to’ button to show what different vendors are paying for that card. If there’s one vendor you prefer, you can check on them, or see what the trends are for that buylist price. Has it gone up and down a lot? Is it consistent? This will let you know. For both the buylist and the value, our sliders can track the past two years. This is long enough to show a trend, a banning, or other spikes/drops. Two years is helpful for tracking the effect that Standard rotation has on the price of a card. Right now, that means Innistrad block, which rotated a year ago. The most striking example of rotation affecting price is Huntmaster of the Fells. Slide its graph all the way out to 106 weeks, and remember when this was a $40 card. Finally, an overlooked feature is the ability to see what prices a vendor had for their card before they ran out of stock. We calculate the Fair Trade Price using what is in stock, but it can be very helpful to know what price was so good that they ran out! Sometimes this reflects a run on a card, or someone trying to run up the price by buying out a store’s stock. When you click the button next to a vendor’s name, you’ll see what price they had. Again, if you like a certain vendor, you can focus there, or you can make a prediction on what they will restock the card at. I hope you’ve enjoyed this tour of some of our free features. Don’t forget about the lifetime Pro Trader offer! There’s a few spaces left and it is super cheap for all you’ll be getting! Helpful information. Privileged my family I discovered your web site inadvertently, that i’m amazed the key reason why this car accident failed to came about earlier! My partner and i bookmarked this.